Bring home your favorite police pup with the Paw Patrol Deluxe Talking Plush Case! 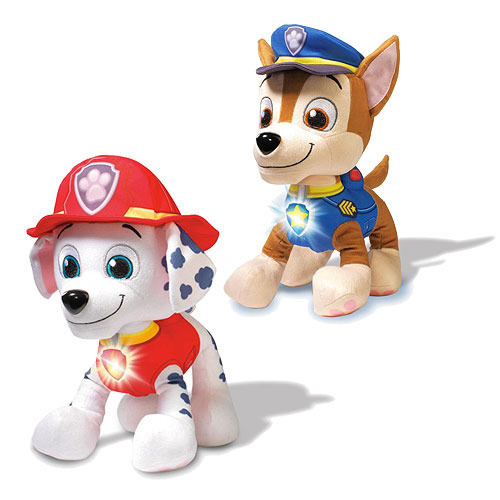 These soft and cuddly adventurers are full of real sounds and phrases straight from Paw Patrol! Just give their bellies a squeeze to listen to what they have to say! Requires 3x "AG13" batteries, included. Ages 2 and up.